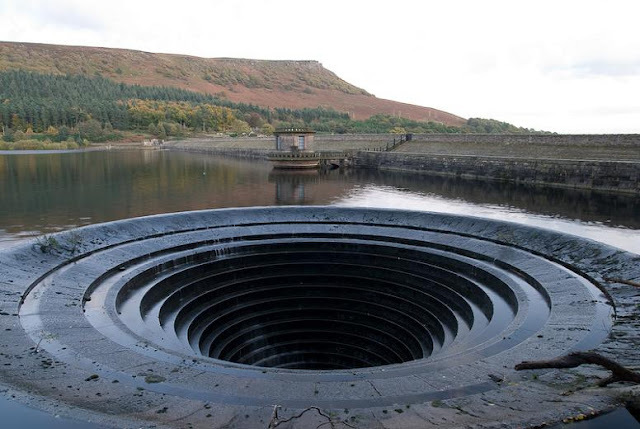 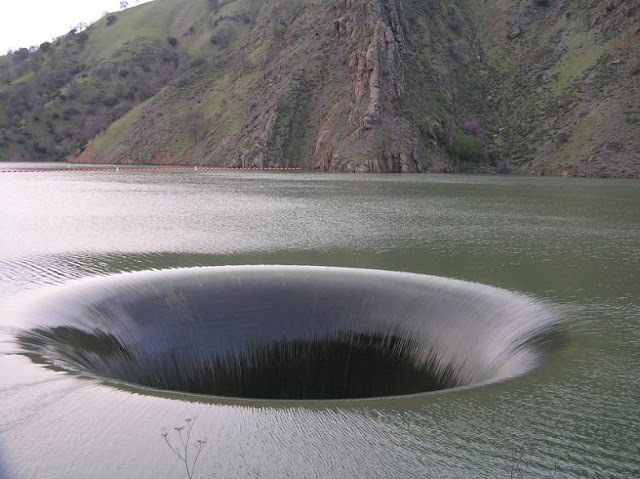 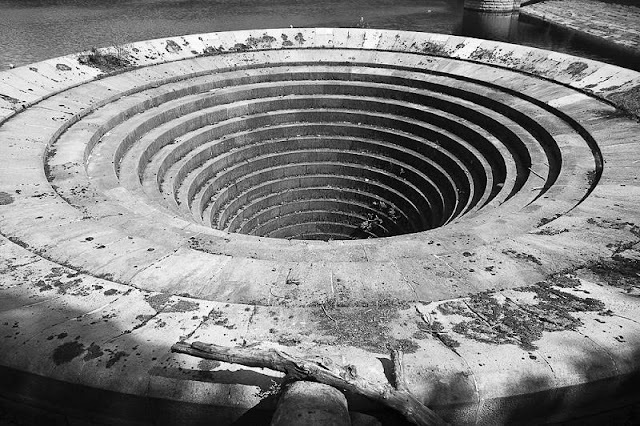 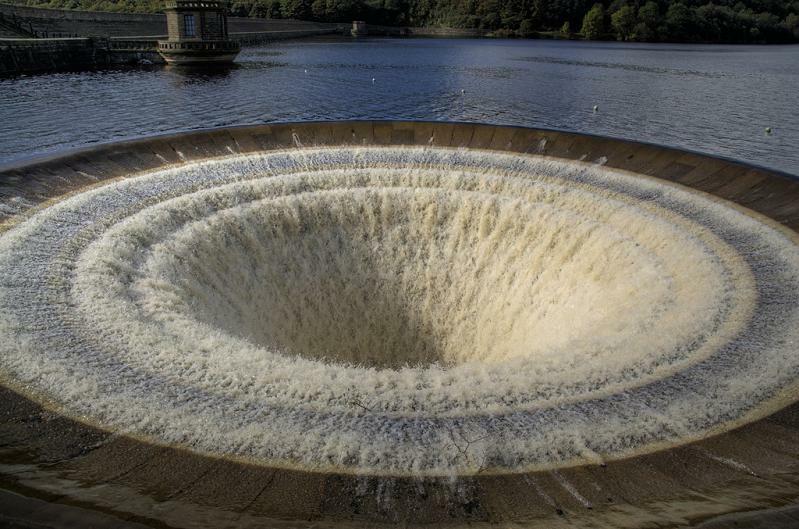 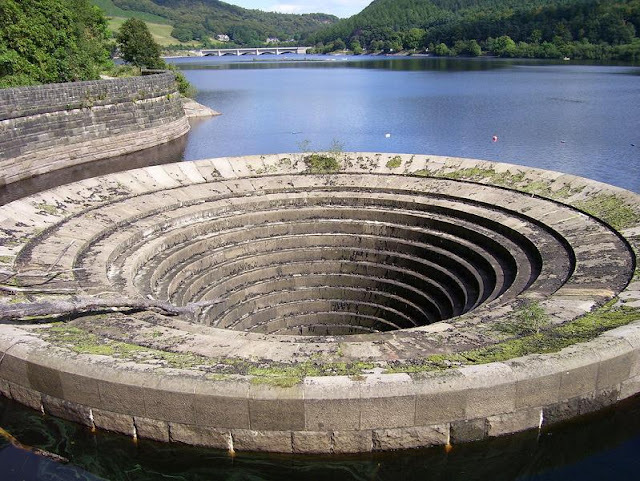 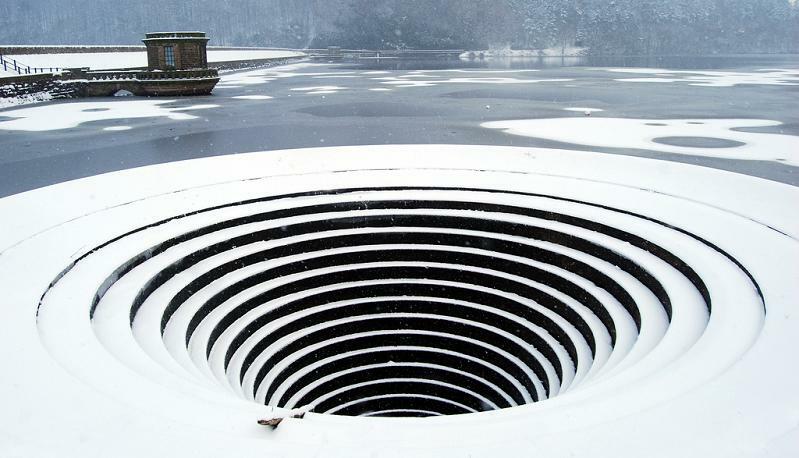 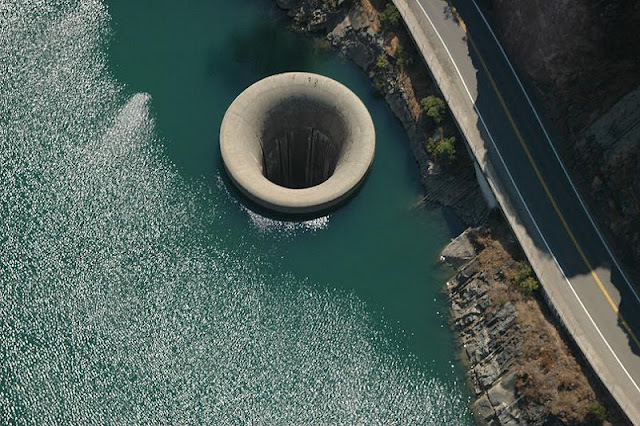 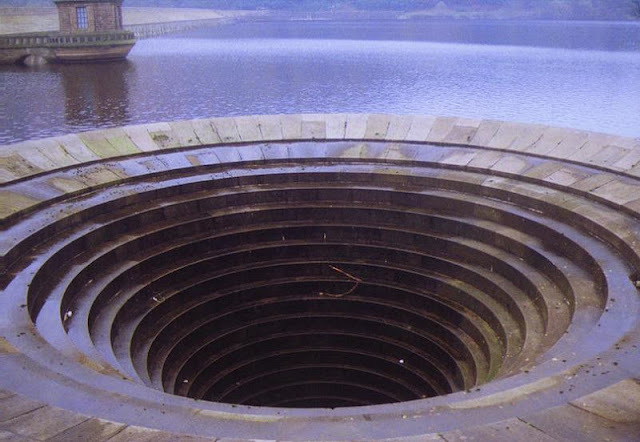 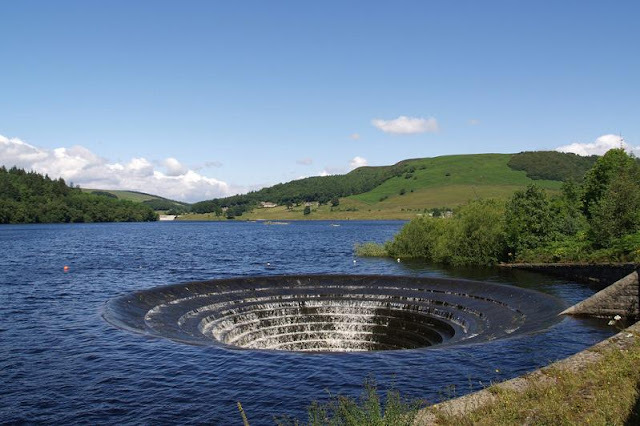 At first glance you might mistake a bell-mouth spillway for a watery vortex into another dimension. What can only be described as a giant hole in the water is actually a method for controlling the release of flows from a dam or levee into a downstream area. 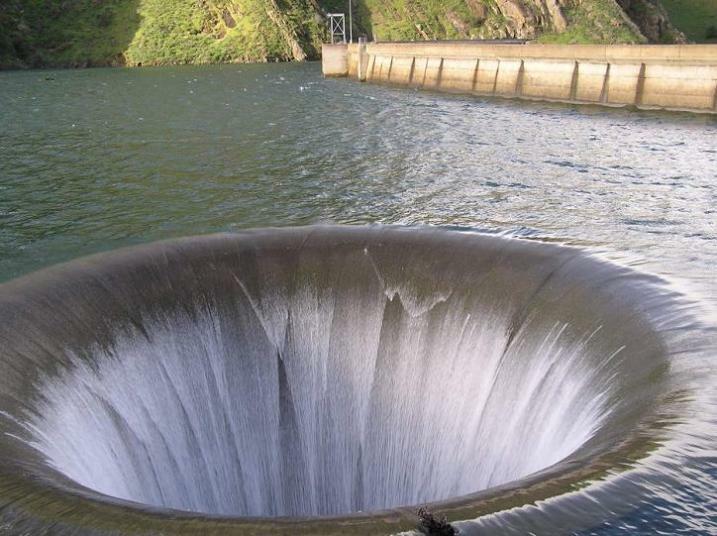 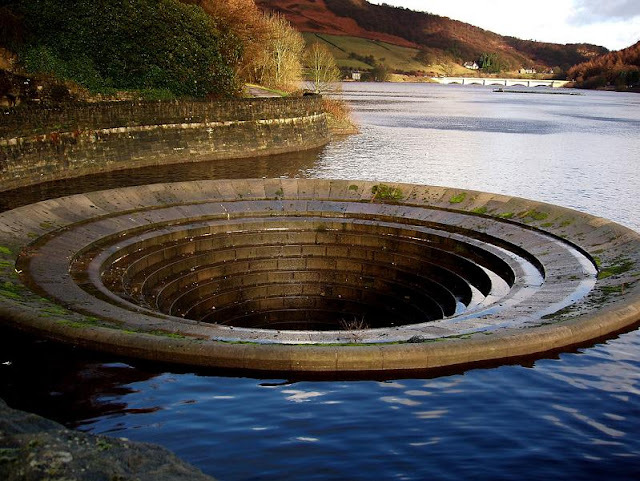 These spillways help prevent floods from ‘dam’-aging or destroying a dam. 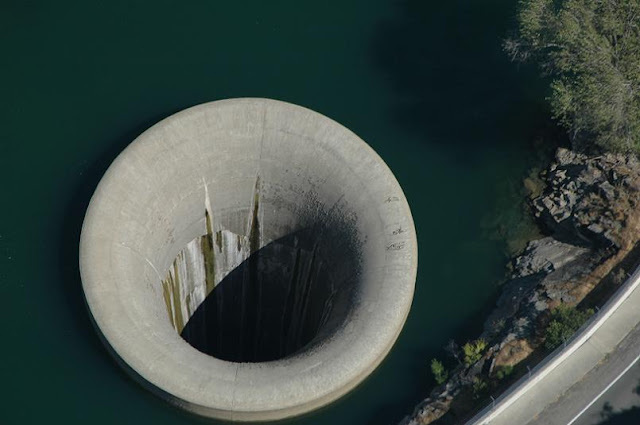 - In contrast, an intake is a structure used to release water on a regular basis for water supply, hydroelectricity generation, etc. 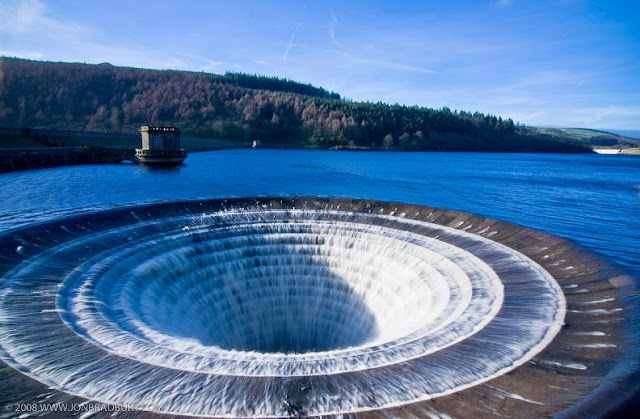 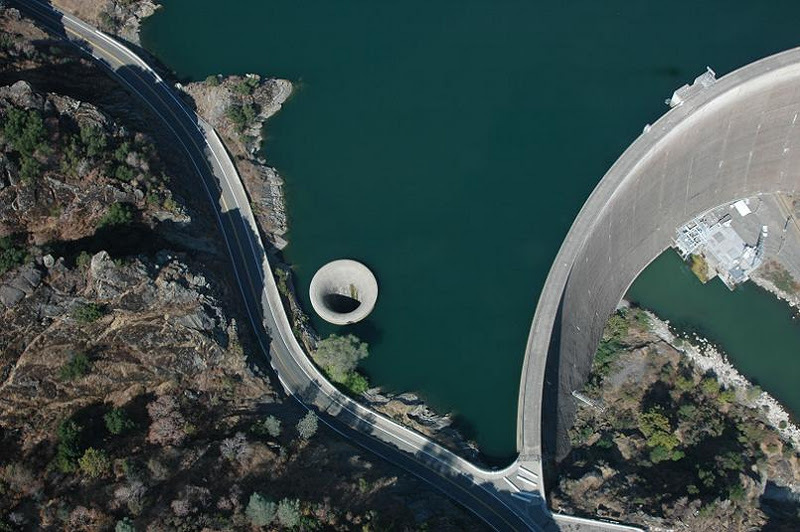 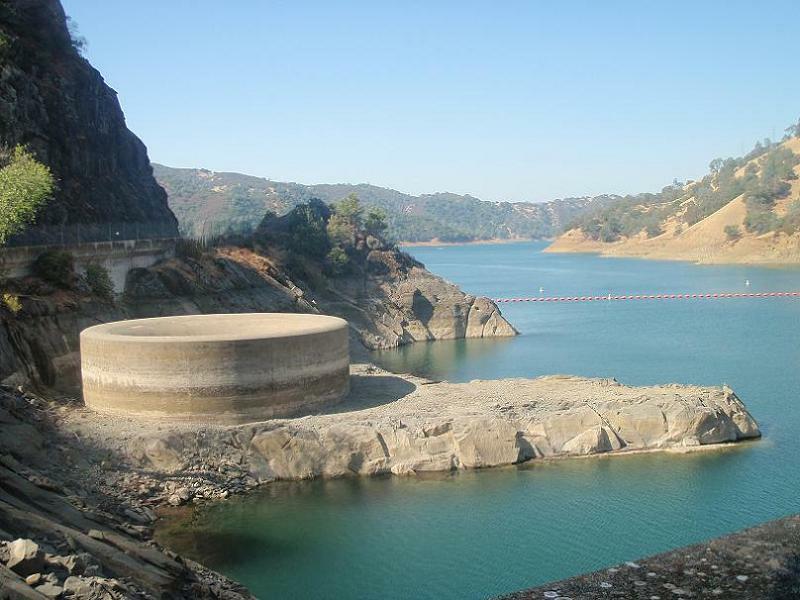 - The dam is noted for its classic, uncontrolled spillway with a rate of 48,400 cubic feet per second (1370 m³/s) and a diameter at the lip of 72 ft (22 m). 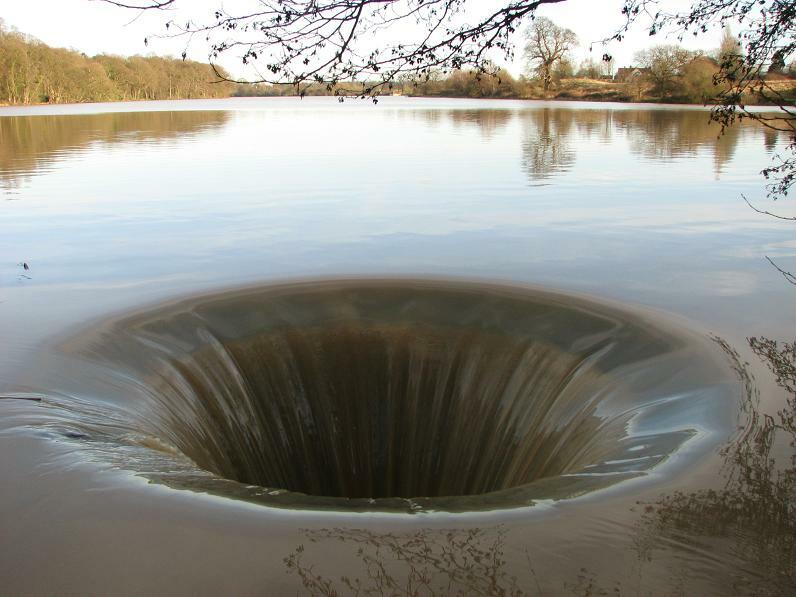 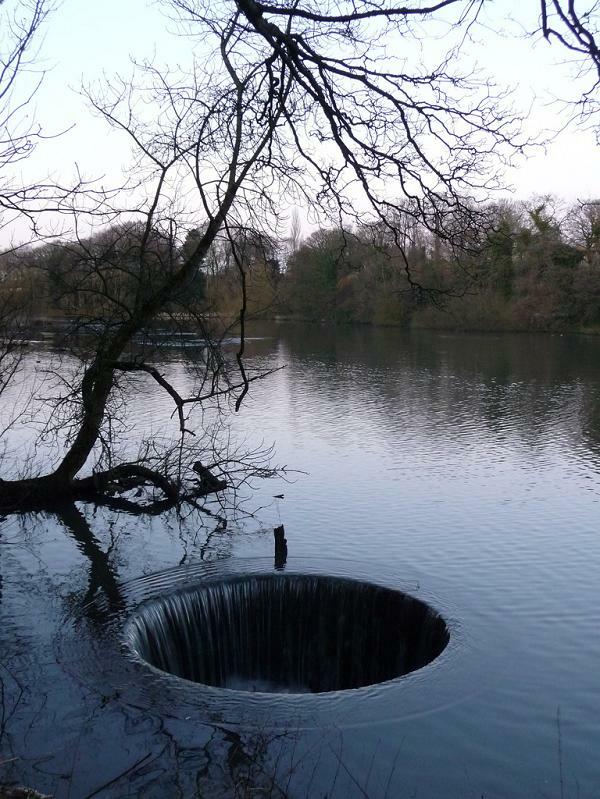 11 responses to "How Giant Holes in the Water are Possible"
I agree. 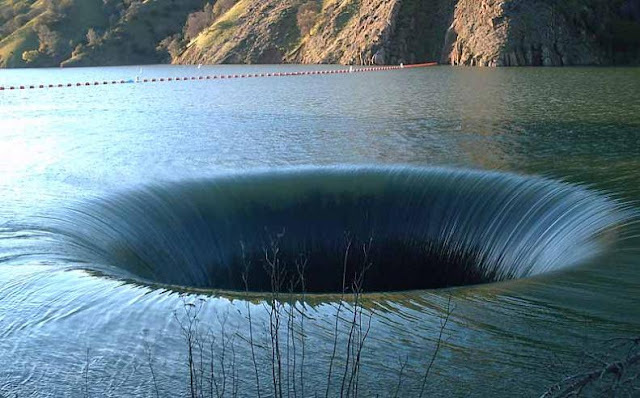 These were nice. 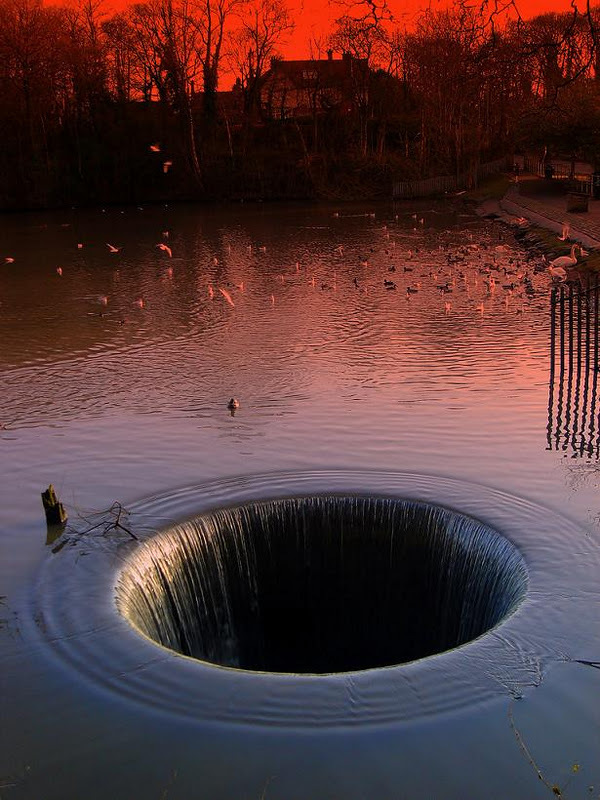 You can reply right here.